Is it time to makeover a room in your home? Everyone longs for their perfect dream room, but wonders if they can make it a reality. Well, with DIY projects, it is actually often more easy than you might think! We’ve found you 30 dream room projects and inspirations to draw upon – from your master bedroom, kids rooms and other rooms in your home. Whether you’ve got plenty of space to work with or need to decorate a smaller space that you’d like. There are some projects here that assume “the sky is the limit” with your budget and then others that have very budget friendly project items. So be sure to take a look at not just the one or two that catch your eye, but several, so you can gather ideas on how to make your own dream room ideas come true! One of the things to always keep in mind is what you’ll be using the space for and then what your preferred décor style is. Some like modern, romantic, vintage or contemporary for example, or even an eclectic style that combines a lot of tastes. You don’t just want a room to look great, but to be functional too. If you are re-doing a family room or the kids’ rooms, be sure to consider their preferences for where they like their toys, what type of activities they like to do. This will help you create the perfect dream room for the person you are creating it for. 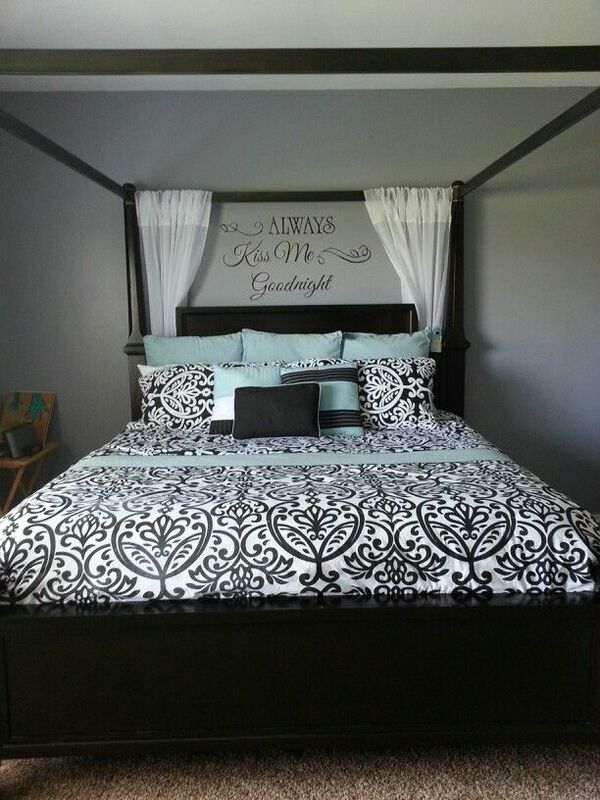 Both romantic and modern, here is a twist on the canopy bed. It has tiny lights throughout it. These are sweet and romantic. Perfect for your master bedroom. Just imagine a beautiful hand-crafted sleigh bed for your dream bedroom. It would be the perfect thing to admire each day. Both simple and practical, these shelves are very stylish. Its an easy way to make your walls look great. One way to customize your master bedroom is by adding word art such as a wall decal. You can get unique or pre-printed wall decals for a budget friendly price. An old fashioned classic – bunk beds! Here they are as a rustic cabin. Celebrate Christmas in style by decorating your master bedroom. It even has a fun Santa Claus theme! Perfect for your master bedroom or for the living room, especially for an anniversary party. Add a few candles for dramatic effect! Perfect for your little girls. These bunk beds are created with a dollhouse theme. Make the most of every space in your dream room. This window bench can be made by beginning DIY-ers. Especially for the baby’s nursery room, its perfect to have a window bench seat. Here you can make a simple DIY no sew one. Fun & unique, a castle theme is perfect for boys and girls. This works well for bunk beds. This family used an e-design service to easily design their dream bedroom. It came together like 1-2-3! Love the farmhouse look from Pottern Barn? Now you can DIY it at home! Does your little girl love to play dress up? Here’s a vanity she’ll adore! Create a “wow” look with a modest budget. A teenage girl would be very happy with this room. Keep everything tidy and organized. Best of all, it all looks so great too! Make the most of smaller spaces, so you can enjoy every inch of your home. This built in cabinet is perfect for jewelry, shoes and other accessories. Its easier than ever to make a canopy bed. Try this one with curtain rods for a simple DIY project. Easily organize your bathroom while getting a super stylish look. These shelves are simple but look perfectly polished. As you can see, there is ample storage under this bed. It is very convenient to keep lots of stuff, nice and tidy there! Who doesn’t want a cozy look to their bedroom? Try this classic farmhouse style. This is the perfect choice if you don’t have or want a headboard. Stylish and very modern! Want to store items in your bedroom but also to stay neat? Take a look at these great storage towers, they meet a lot of needs. A great way to add style and personality to your bedroom is to put up a saying. Whether classic or your own, it will easily attract attention! Bright and colorful, this is fun for a teen or tween girl’s room. Try this modern style canopy bed! Gold and cream color scheme are both old fashioned and modern. They create a stylish elegance to this room.